On January 7, the Reserve Bank of India (RBI) in its bi-monthly monetary policy announced the curtailment of key policy rates by 25 basis points (bps) from 6.50 percent to 6.25 percent. One basis point is one-hundredth of a percentage point. The monetary policy committee (MPC) also altered its policy stance from calibrated tightening to neutral. The decision was taken keeping in mind the lower than expected retail inflation. However, bankers and financial experts feel this is unlikely to change anything for the common man who has to pay EMIs every month. Anil Gupta, vice president and sector head, financial sector ratings, ICRA said that there is likely to be a delay in the transmission of cut in policy rates in banks. There is a slow incremental build-up in their deposits and this will hinder banks to push credit growth without fastpacing their deposit base. “This may require hiking deposit rates and that may be difficult in a rate cut cycle,” Anil added. Bankers are of the opinion that because the final call of a change in interest rate of home loans will have to be taken from the asset liability committee of individual banks nothing can be promised beforehand. Shanti Ekambaram, president, consumer banking, Kotak Mahindra Bank said that because of the liquidity crisis most banks spiked their interest rates on deposit and MCLR (marginal cost of funds-based lending rate). “With this cut, we need to see how the rates of deposits move. With the demand supply situation, credit growth has been strong and better than deposit growth. The demand for credit is higher than deposit growth making it little difficult to reduce the deposit rate. We will have to wait and see,” Shanti added. Chances of the rates of interest to reduce depending on how the deposit rates are cut. The home buyer who has taken a home loan may not experience an instant reduction in the interest being charged. 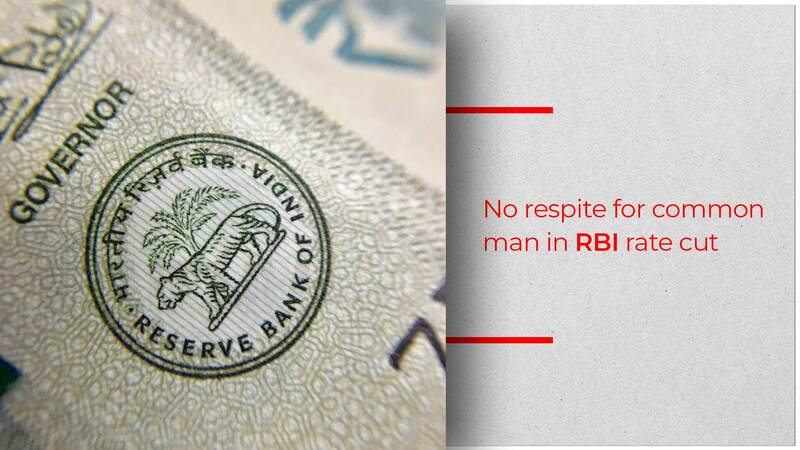 However, RBI governor Shaktikanta Das hinted that post June 2019, there is a huge chance that the interest rates will decline.